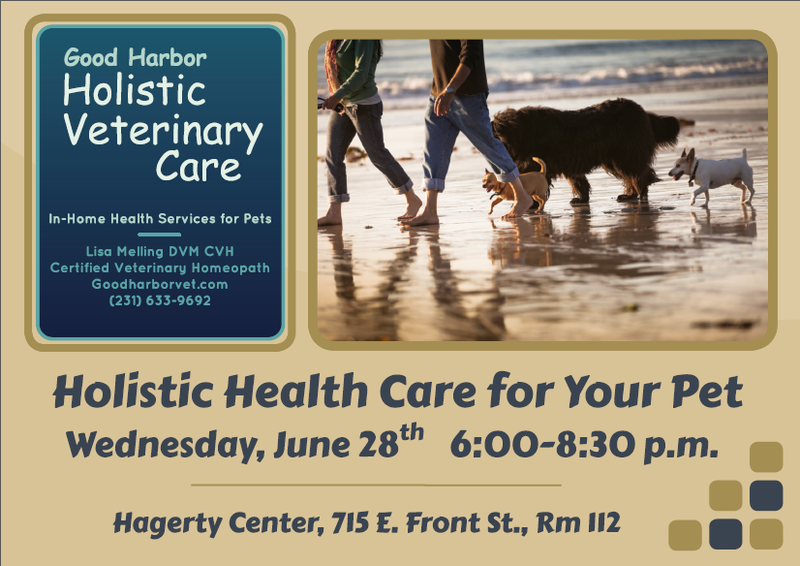 This webinar is co-sponsored by Pitcairn Institute of Veterinary Homeopathy @ www.pivh.org. Demonstrate the importance of homeopathic prescribing in treating behavioral disorders. 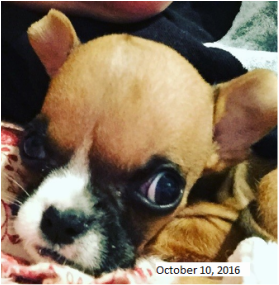 Porsche is a little Boxer pup that is thriving despite several congenital (inherited) defects that were keeping her from developing as a normal puppy. She is pictured here with Dr. Debbie Goode. I met Porsche at the American Holistic Veterinary Medical Association meeting in September 2016. She had been adopted by Dr. Goode, who was able to provide round the clock care to keep this pup alive. At 8 weeks, Porsche weighed just 0.5 lbs, which was only 10% of her siblings. She had this enormous head on a teeny body. Porsche's inherited conditions included an open fontanelle (gap in her skull), hydrocephalus (fluid on brain), an umbilical hernia, and a large cleft palate which prevented her from safely nursing or eating solid food unless she was tube fed. Dr. Goode knew I practiced homeopathy and remembered from my lectures that homeopathy can heal patients from inherited health problems. We reviewed her case and prescribed Calcarea carbonica, a homeopathic medicine intended to stimulate her body to heal the defects in her brain, skull and palate so that she could begin to grow. Within days of her treatment, Porsche began to show obvious changes - she started gaining weight, and the holes in her palate and her skull began to close. The pictures to the right show the large size of her cleft palate on Day 2 of life, compared to after her homeopathic treatment, which shows the rapid closures that occured after the Calcarea was administered. As you can see from her 5 lb. 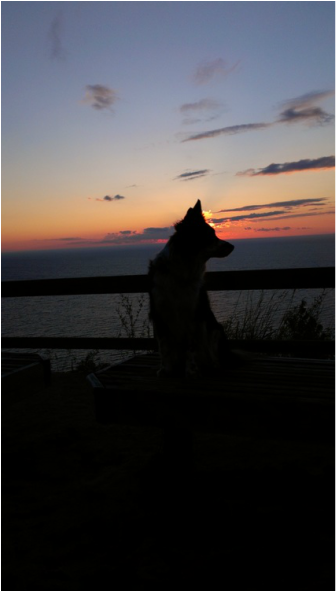 picture today, she is looking more and more like a normal pup! The size of her head is now nearly normal, and the hole in the roof of her mouth has nearly closed (a rare event without surgical intervention). The umbilical hernia has also closed. Cheers to Dr. Goode for her dedication to Porsche and to homeopathy for giving Porsche the chance to thrive in health! Have you ever questioned the truthfulness behind any of these rules? What would you think if your family physician told you that eating from a bag or a can of factory processed meals provided a complete and balanced diet that eliminated the need for fresh food? Would you like to extend your passion for eating fresh, local food to your four-legged best friend, but need a little guidance and support from a veterinarian? Few people realize that commercial pet food did not even exist until the early 1900’s, and prior to that time cats and dogs thrived on a varied diet of prey, table scraps and locally butchered meat. Most of the dry and canned pet foods available today are the by-products of the human food industry and are so highly processed that they do not resemble real food at all. Do you have to feed your pet this way? Absolutely not! Do you make smart, healthy choices for your own diet and for your family? An easy way to begin doing this for your pet is to eliminate one of their meals of processed food per day and share your healthy cooking with them. While cats are most likely to prefer meats, most dogs can tolerate a wide variety of food, including cooked rice, oats, quinoa, beans, potatoes, vegetables and meats. Another option is to decrease the amount of commercial pet food at each meal, and top dress it with the healthy left-overs from your plate. A third alternative (and my personal favorite) is to feed a completely whole food diet – either following recipes for home-prepared meals or buying a commercially prepared raw diet. Are you vegan or vegetarian for ethical or health reasons? Although this is often a hot topic of debate, there is a great deal of mounting research that shows that pets can be fed vegetarian and even vegan diets as long as proper supplements are provided. For more information, please see the following references. Home Cooking for Your Dog: 75 Holistic Recipes for a Healthier Dog, by Christine Filardi. Dr. Pitcairn's Complete Guide to Natural Health for Dogs & Cats, by Richard Pitcairn, DVM, PhD. The third edition of this book is available now; the fourth edition will be released in spring of 2017 and will include vegetarian and vegan recipes. www.dogaware.com. 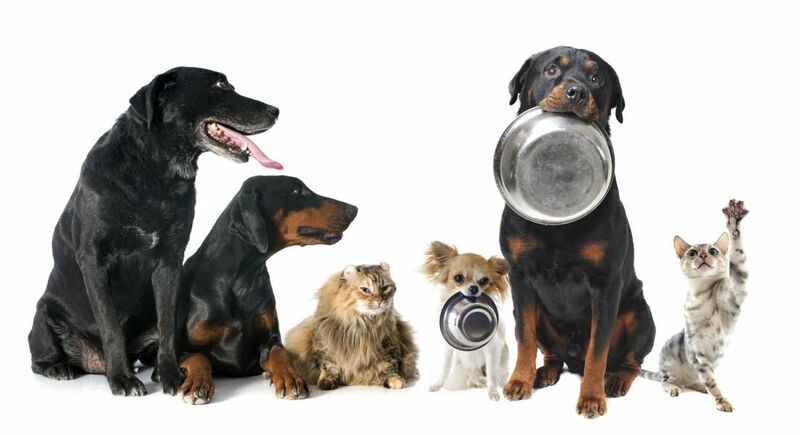 An excellent website written by Mary Straus providing valuable information on various methods of fresh feeding for pets. I have seen many posts on Facebook or other social media recently regarding backyard chickens who have become ill. Finding a treatment that is both financially reasonable and without harmful side effects can be challenging. Homeopathy is a great option! Not only can the medicine (aka homeopathic remedy) be administered in water, but there are no harmful effects or drug residues with this kind of therapy. Here is a brief overview of a respiratory case I treated successfully with homeopathy last winter. On February 20, 2015, an 8 month-old Speckled Sussex Hen developed a barking cough and was having difficulty breathing. The rest of the flock was not ill, and when the owner brought the hen indoors she noticed the symptoms improved but did not resolve in warm air. The owner consulted with our practice and a homeopathic remedy was selected that matched the hen's symptoms of illness. The owner was instructed to give 1 dose by mouth (dissolved in water, 1/2 ml per dose) every 2 hours until improvement was noted, and phone progress within 12 hours. Within two hours of the second dose, the owner phoned to report that the hen's respiratory effort and coughing had significantly improved. Although she still wheezed a little when she breathed, she was now making normal chicken sounds and her energy and activity were higher. The owner was advised to monitor her symptoms and repeat the remedy only if the wheezing did not improve overnight or if her symptoms worsened. Two days later, the owner reported that the hen continued to rapidly improve. Her symptoms resolved without any more doses and she returned the hen to the flock outside. Six months later in the spring of 2015 I was at the owner's home to provide health care for her dogs and she reported that the hen was doing great: the pictures shown here were taken that day. If you have backyard chickens and are interested in holistic care for your flock, please do not hesitate to contact me. I am excited to announce that Good Harbor Holistic Veterinary Care has its own Facebook page! There is now a Facebook link on this site that will take you directly to our Facebook page. Our practice will use Facebook to keep you updated on patient photos and upcoming events. 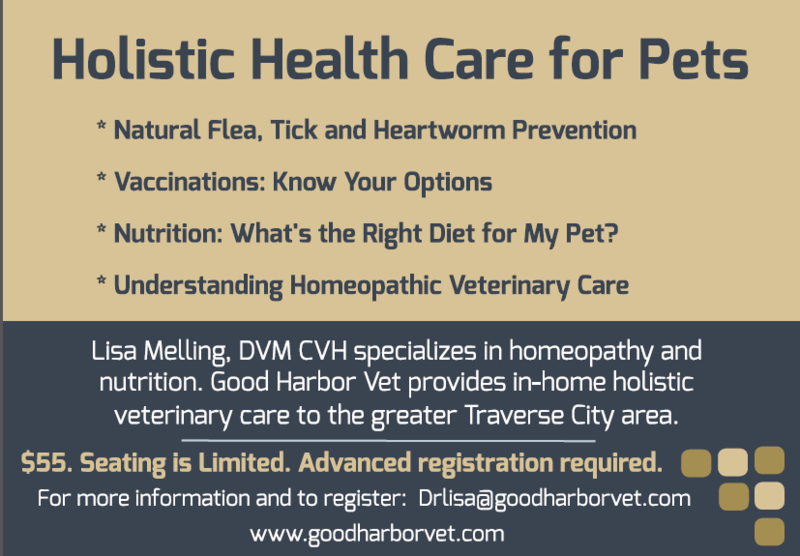 Please visit us to see how we can help your pet live a healthier life with holistic veterinary care!